We provide simple yet powerful connected retail experience solutions. One Customer, One Experience, One Solution. Tofugear’s Omnitech Unified Commerce Platform offers retailers new and exciting opportunities ranging from capturing increased sales across channels, enhanced brand awareness and loyalty, as well as gaining keen insight into customer ‘trying and buying’ behavior. 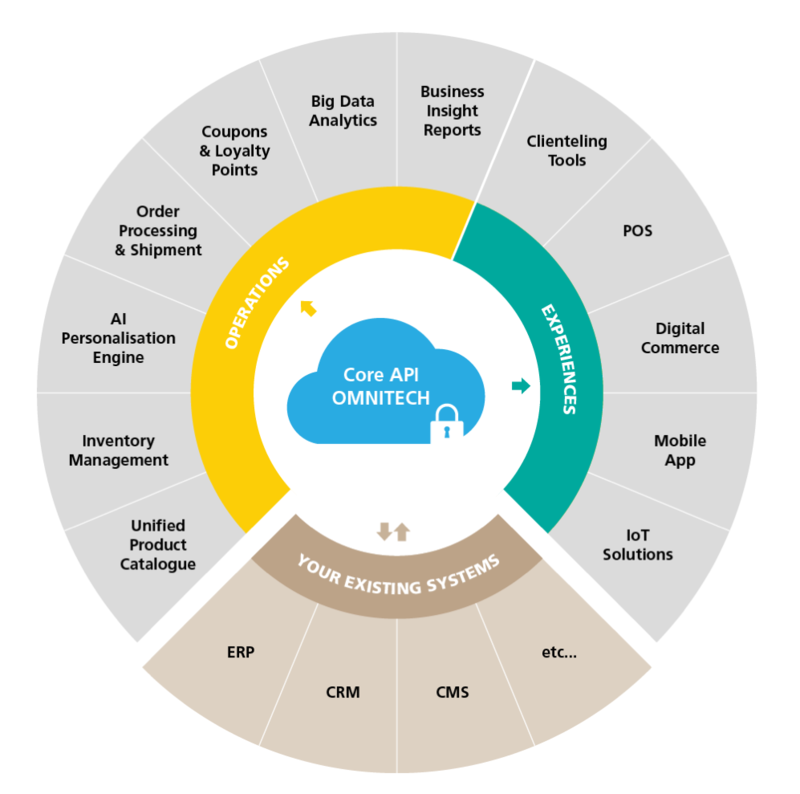 Leveraging a powerful combination of IoT, AI, Blockchain, Mobile and Cloud technologies, Omnitech enables retailers to engage with their customers in more creative and innovative ways.